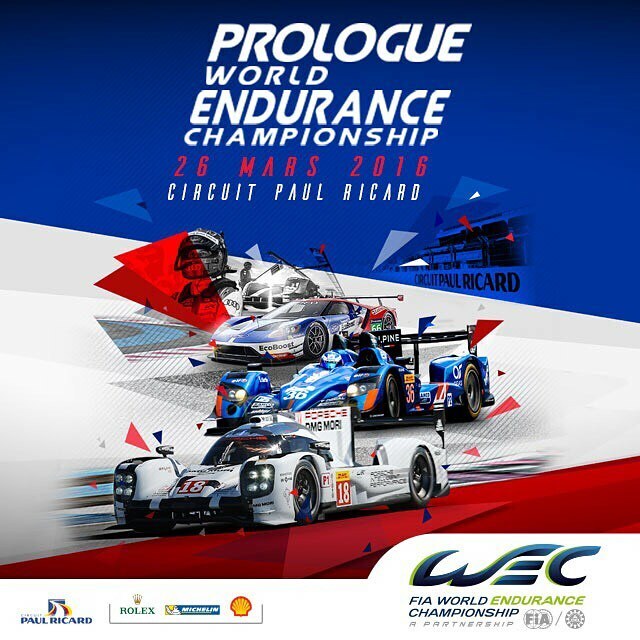 Lots of news ahead of the WEC Prologue at Paul Ricard next week. Here's a quick round-up of the most important facts & figures. 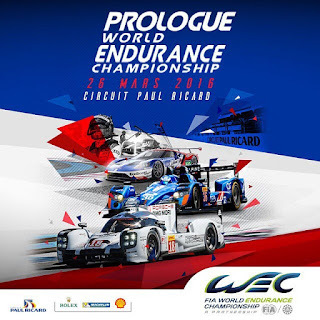 The entry list for the WEC Prologue at Paul Ricard features 29 of the 32 cars competing in the WEC this year. All teams will enter their cars, except for Audi and Toyota who will run only of their 2 LMP1 prototypes. 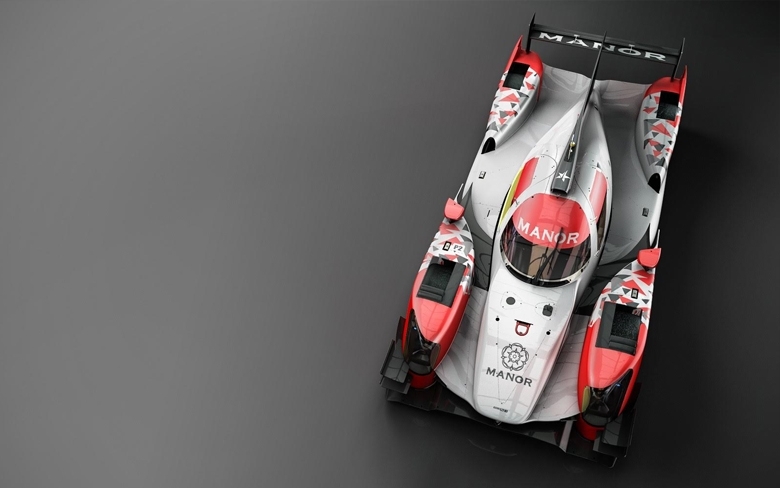 Also Manor will only field one car at the prologue. The entry list can be downloaded at this link. Toyota will unveil their all new for 2016 TS050 Hybrid at the prologue next week. Ahead of the reveal of the car, Pascal Vasselon, technical director of Toyota gave already a first insight into the new LMP1 challenger. In an interview with the Le Mans official website, he confirmed that he 2016 car will be powered by a V6 turbo engine instead of the naturally aspirated V8. The V6 offers the best compromise and with the addition of a turbo, the performance window of the new engine will be broader than the naturally aspirated V8. On the hybrid part of the engine, Toyota will change the current supercapacitors for batteries, but the dual-axle brake energy recovery systems will stay on the new car. There's a few radical changes in the new Toyota, will it be enough for them to claim victory after 24 hours of racing at Le Mans ? Nelson Piquet Jr will return to the Le Mans 24 Hours as he will join forces with Nicolas Prost and Nick Heidfeld at the wheel of the #12 Rebellion R-One/AER. 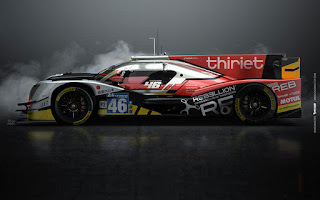 Piquet Jr. will race at the season opener in Silverstone and the 6 hour race in Spa to get the most racing experience and mileage aboard the Rebellion. Piquet Jr. is the reigning FIA Formula E world champion. He raced twice in endurance earlier in his career in an Aston Martin DBR9, and was 4th at Le Mans in 2006 in the GT1 class. 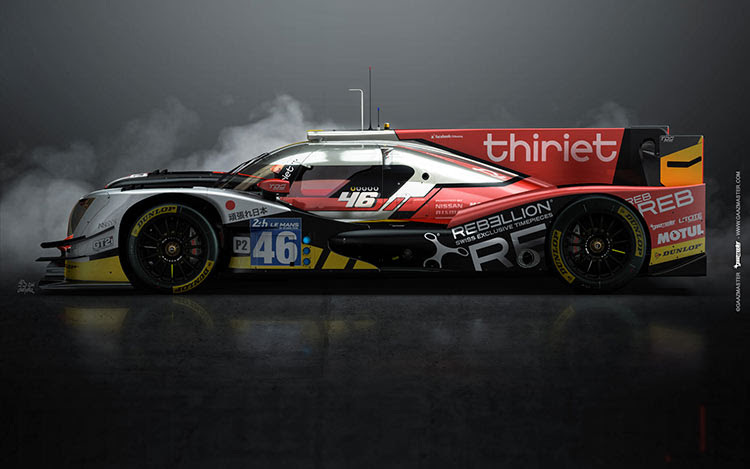 Piquet Jr. will make his debut in the Rebellion at the prologue in Paul Ricard. 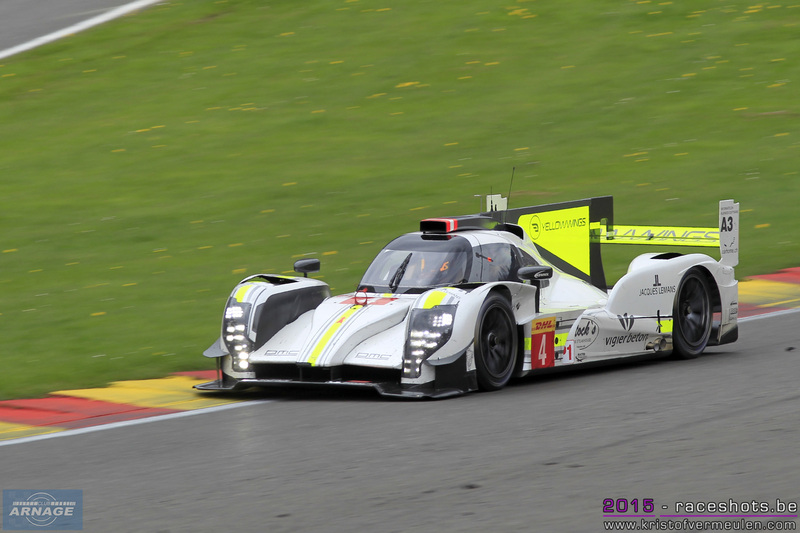 ByKolles Racing completes their driver line-up for 2016 with the signing of British driver Oliver Webb who will share the CLM P1/01 with Simon Trummer and Piere Kaffer. Webb won the ELMS in 2014, raced in the WEC in LMP2 in 2015 and won the Dubai 24 Hours. Earlier this year, he secured Race Performance's teams title in the Asian Le Mans Series. The driver line-up for the "Garage 56" entry of Frederic Sausset is now complete with the addition of Jean Bernard Bouvet as third driver. He will join Sausset and Christophe Tinseau in the SRT41 Morgan/Nissan. G-Drive Racing/Jota Sport has completed their driver line-up for WEC and ELMS. Audi factory driver René Rast completes G-Drive Racing's WEC driver line-up. He joins Roman Rusinov and Nathanaël Berthon in the orange Oreca05/Nissan. The 30 year old German is considered as one of the best upcoming racers in endurance and already has an impressive cv. 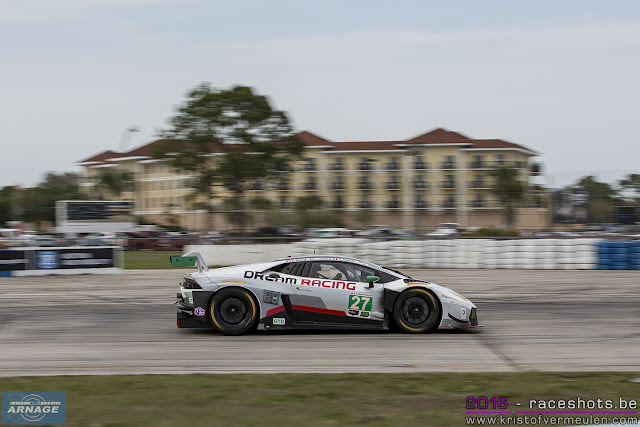 Rast raced two times with Audi at Le Mans, finishing 4th in 2014 and 7th in 2015. In ELMS, the Gibson 015S/Nissan will be driven by Simon Dolan, Giedo Van Der Garde, Jake Dennis and Harry Tincknell. 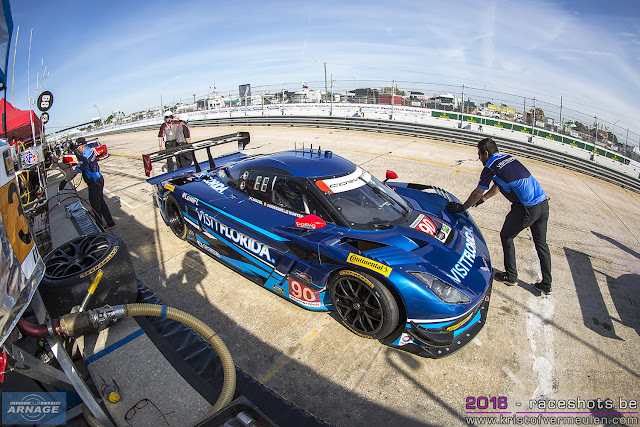 Signatech Alpine announced its final driver line-ups yesterday for both Alpines in the WEC championship. The #35 Signatech Alpine A460 (a rebadged Oreca 05) will be driven by Gustavo Menezes, Nicolas Lapierre and Stéphane Richelmi. 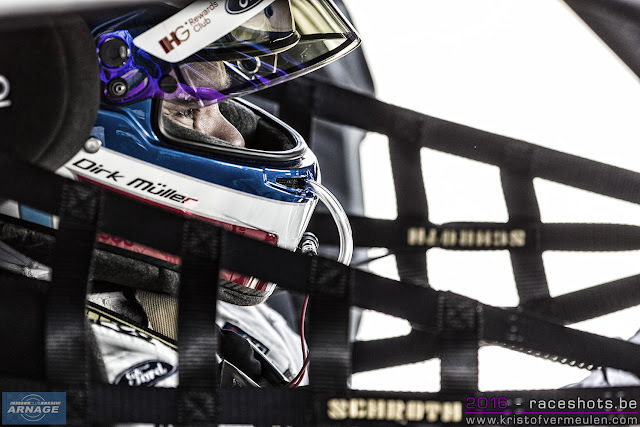 Lapierre will compete both in the WEC (Alpine) and ELMS (Dragonspeed) championship. The #36 DC Racing Alpine A460 will be driven by team owner David Cheng, Ho-Pin Tung and Nelson Panciatici. Over the past weeks, Manor has confirmed five drivers and the addition of a second Oreca05/Nissan in the World Endurance Championship. With the signing of Richard Bradley, Manor has one of the 2015 LMP2 Le Mans winners in its ranks. Bradley has an extensive experience in both single seater and sports car racing and an in-depth knowledge of the Oreca 05 which he raced last year. All other confirmed drivers have ties with the Manor team, either in F1, F3 or GP3. Tor Graves was the first confirmed driver for the new team in the WEC paddock. 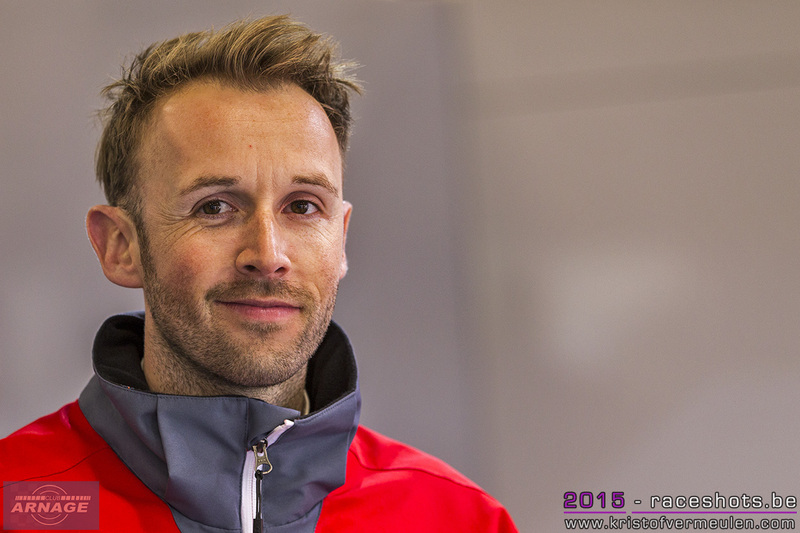 Graves re-joins the team after raicing for Manor in 1998, 2003 and 1999 in British Formula 3. Graves has more than 20 years experience in several race disciplines and has raced twice in the Le Mans 24 Hours. Next up is Will Stevens, who drove for Manor in F1 last year but lost his seat to Pascal Wehrlein and Rio Haryanto. 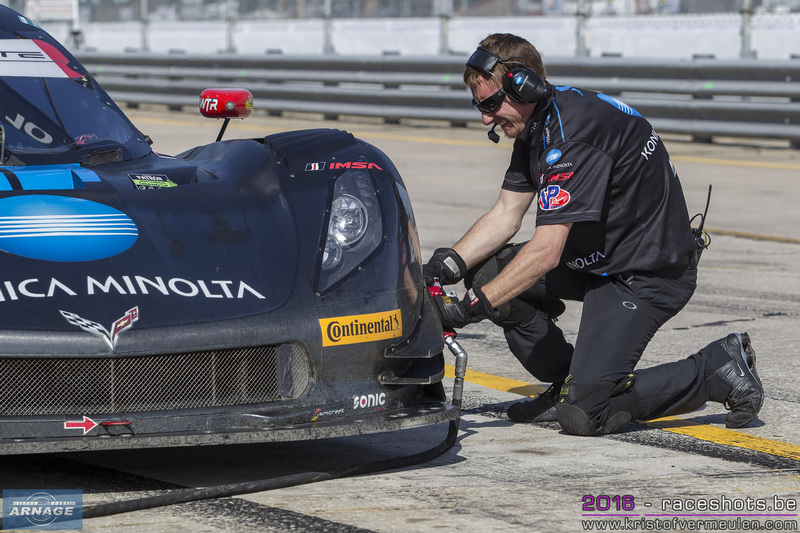 Stevens will make his debut in endurance racing. James Jakes, who also already raced for Manor in Formula 3 and GP3 returns to the team in the WEC. For the past 4 seasons, Jakes was active in the Indycar series. Matt Rao is the fourth confirmed driver for Manor. 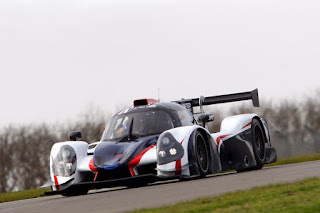 The 21 year old British driver tested the Alpine A450b at the WEC rookie test in Bahrein last november. 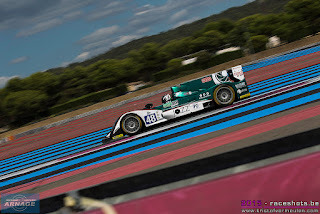 More announcements about the driver line-up are expected in the days ahead of the Prologue at Paul Ricard. The Murphy Prototypes Oreca 03/Nissan will be driven at Le Mans by Ben Keating, Jeroen Bleekemolen and Marc Goossens. 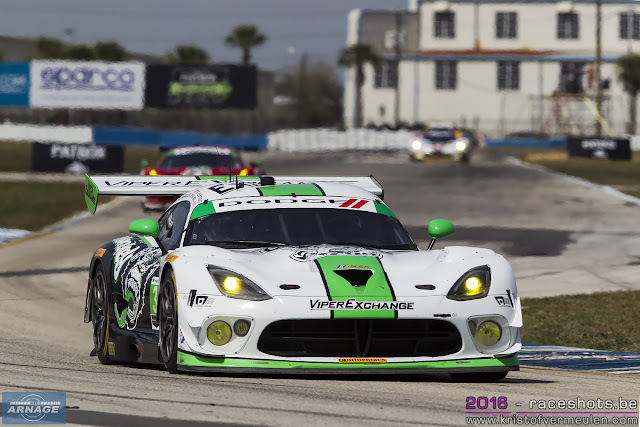 Keating competes in the WeatherTech Sportscar Challenge with a Dodge Viper and made his debut last year at Le Mans. He was hoping for a new invite at Le Mans, but they were placed 7th on the reserve list, so chances to run the Riley Viper at Le Mans became pretty tight. 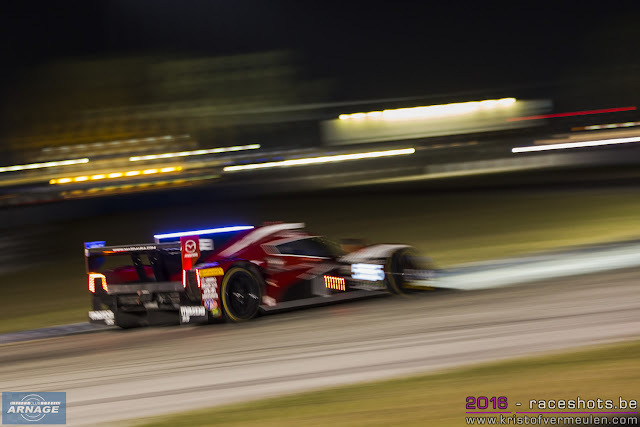 The collaboration between Murphy and Riley in LMP3 (Murphy racing the Riley-Ave2 with factory support) opened the door for Keating to compete again at Le Mans. He will be joined by Jeroen Bleekemolen and Marc Goossens, both adding lots of experience to the team. 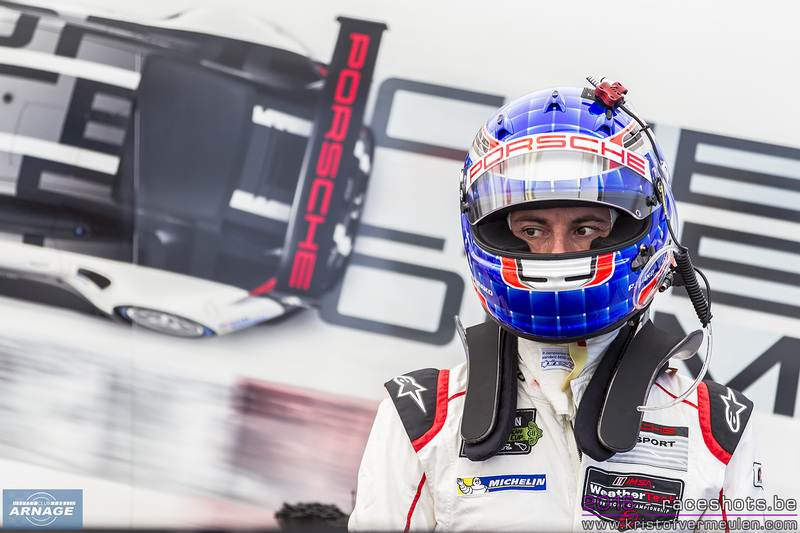 Keating will make his debut in a prototype, and has some extensive testing planned ahead of the Le Mans race. Goossens will be at the ELMS prologue next week to get accomodated to the Oreca prototype. Ford announced their complete line-up to tackle the challenge of Le Mans this year. Sebastien Bourdais, Scott Dixon, Billy Johnson and Harry Tincknell will join the driver squads in the four Ford GT's entered at Le Mans. The #66 GT will be driven by Stefan Mücke, Olivier Pla and American Billy Johnson. 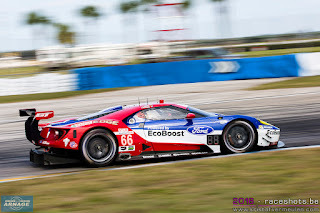 Harry Tincknell will join Marino Franchitti and Andy Priaulx in the #67. Ticnknell doesn't need much introduction, as he has been one of the rising stars in endurance racing over the last 2 seasons, putting in some very strong performances for Jota Sport in the ELMS and at Le Mans. 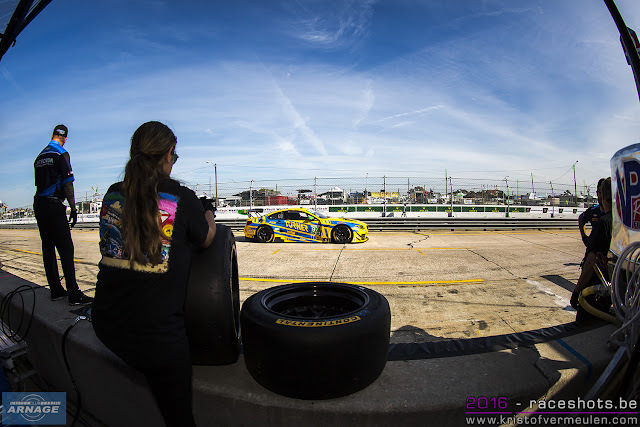 Johnson has an impressive record in the IMSA Continental Tyre Sportscar Challenge in the USA. 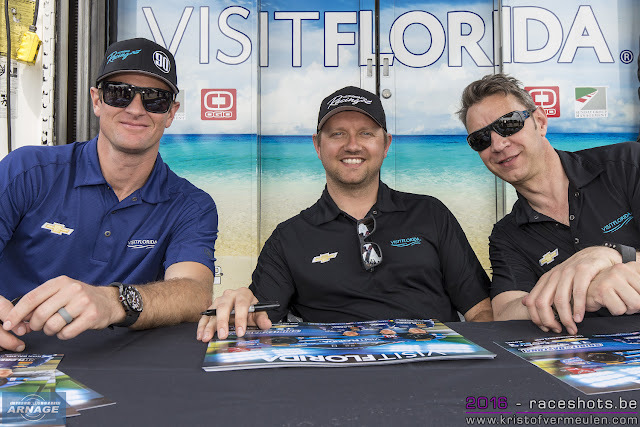 Bourdais and Dixon were already announced as the third and fourth drivers to complete Ford's driver line-ups at Sebring this weekend. 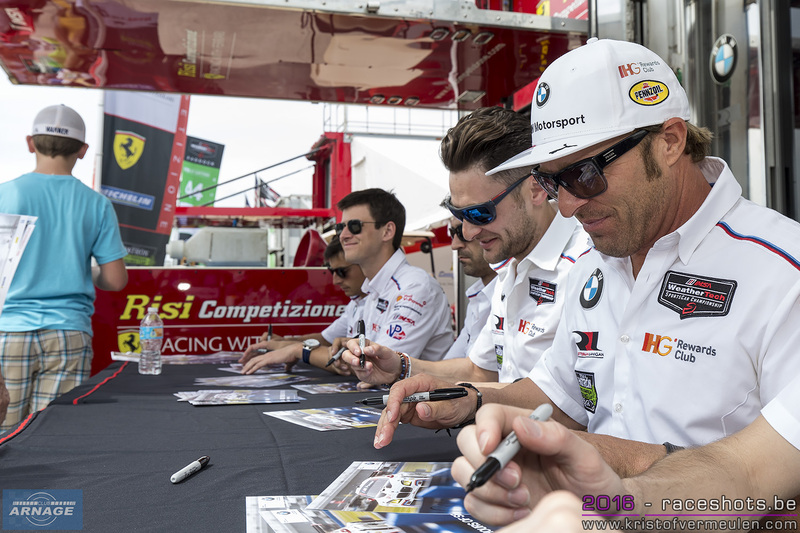 Bourdais will join Joey Hand and Dirk Müller in the #68, Scott Dixon teams up with Richard Westbrook and Ryan Briscoe in the #69. A very strond line-up for Ford in their 4-car assault at Le Mans, with some very experienced drivers in GT and prototype racing. 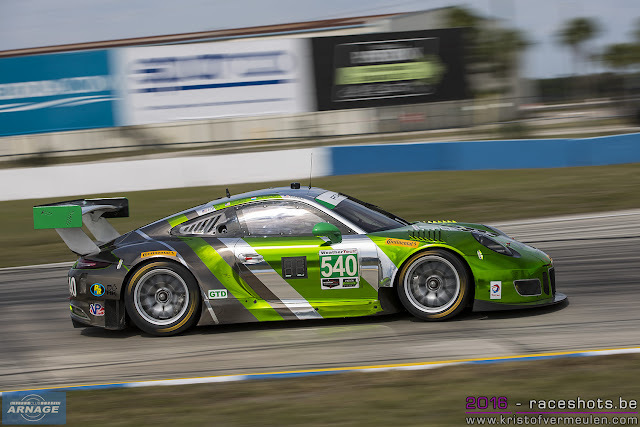 Last week, Patrick Dempsey announced on the Dempsey Racing website that he won't return to the racetrack in 2016. At this point in my life, after an amazing season thanks to my friends at Porsche and TAG Heuer, I need to take a step back and focus on both my family and my acting career". Dempsey Proton Racing will continue on racing a Porsche 911 RSR in the WEC this season, driven by Christian Ried and Michael Christensen. 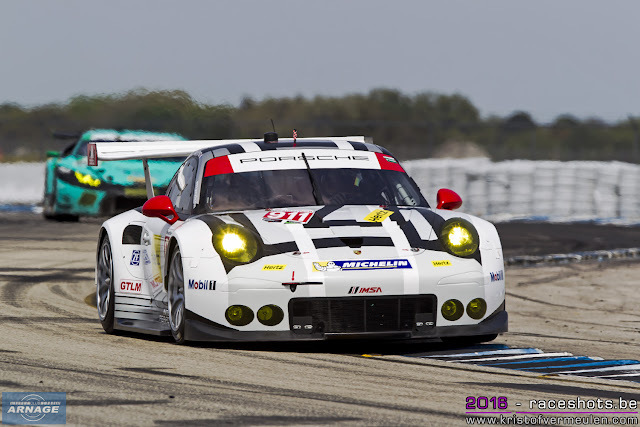 Wolf Henzler will join the team at Le Mans. Dempsey hopes his schedule will permit him to enjoy some race weekends at least as a team owner. 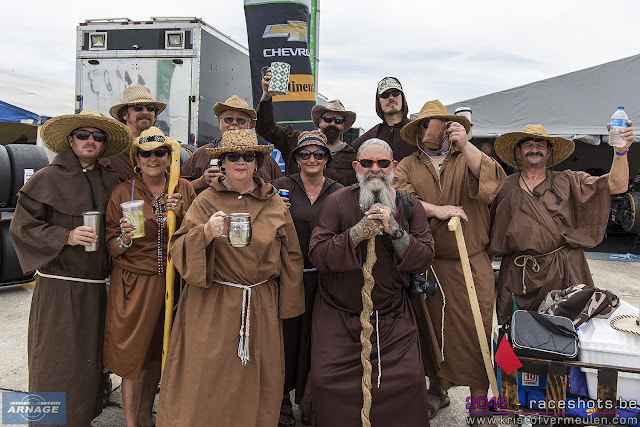 Once in a year, the spirit of Le Mans gets to central Florida for the legendary 12 Hours of Sebring, which has its 64th running this year. The Sebring 12 Hour race is the second encounter in the WeatherTech Sportscar Challenge and the second round of the Tequila Patron North American Endurance Cup. Take a 49 car grid, the hot and sunny Florida weather, add some stunning driver line-ups with some of the best endurance racers around, and you're set for a great weekend of racing. The track is known to be very hard for both drivers and cars, and always provides some great challenges during the race. 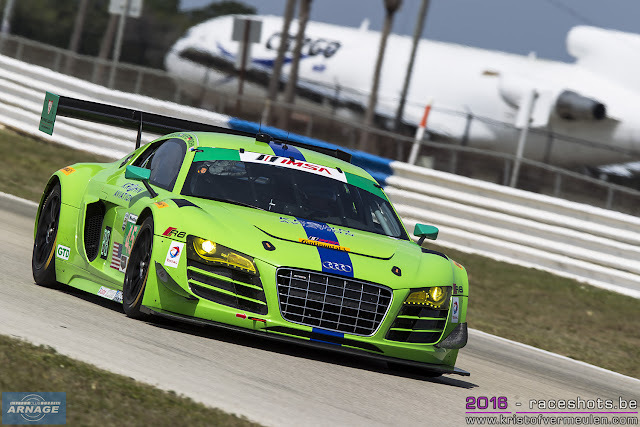 Among the drivers joining in the regular WeatherTech Sportscar Challenge line-ups are Rubens Barichello (#10 Corvette DP), Pipo Derani who returns to the ESM line-up after their win at Daytona last month and 2011 Sebring winner Nicolas Lapierre who joins his fellow Frenchman Nicolas Minassian at Dragonspeed. 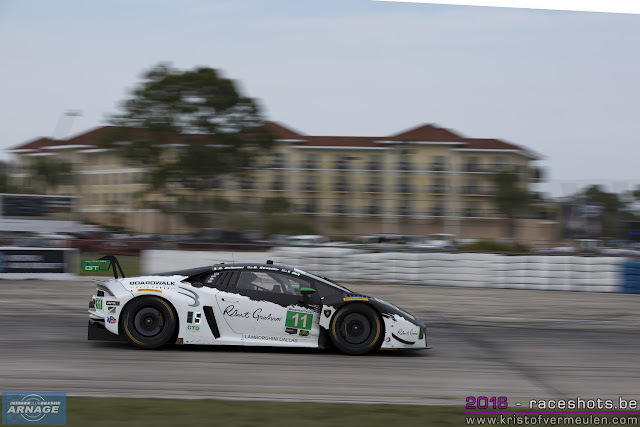 Mike Rockenfeller will join the #3 Corvette and Filipe Albuquerque gets into the #5 Corvette DP. Prototype (P) : combining Daytona Prototypes, LMP2 cars and the Deltawing prototype. 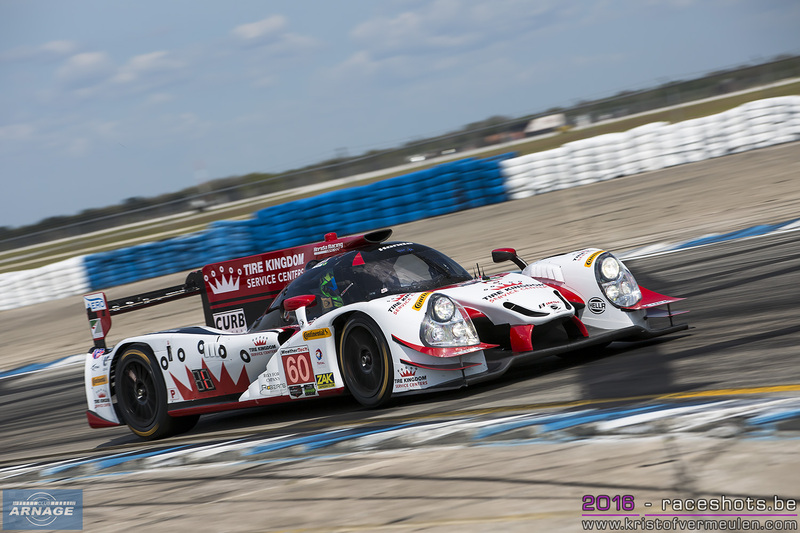 12 cars will race in the prototype class, including the debut of the Oreca 05 Series in the USA with Dragonspeed. The 2015 Sebring winners Action Express Racing in the #5 Corvette DP lead the field and will face some fierce competition from Daytona 24 Hours winners ESM in the Honda powered Ligier JSP2. 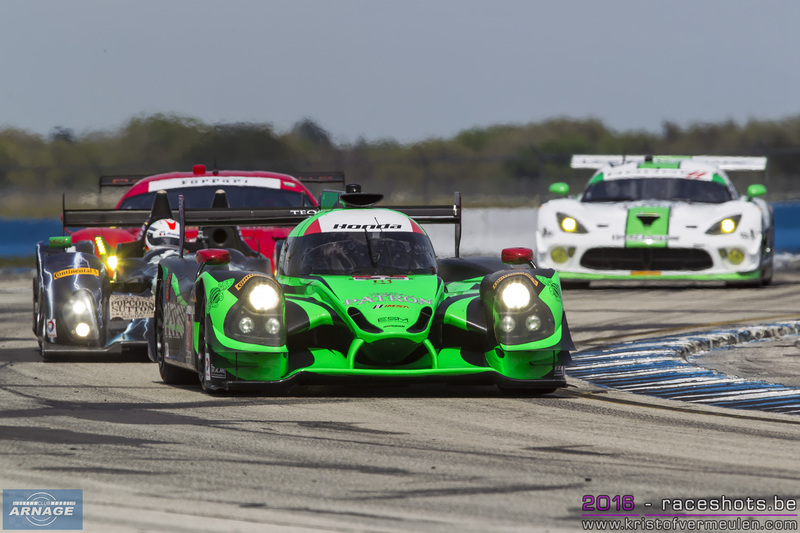 Other LMP2 cars are the Dragonspeed Oreca05 and Michael Shank's Ligier JSP2 and both Mazda prtotypes. All other cars are DP's with a Corvette or Riley chassis. 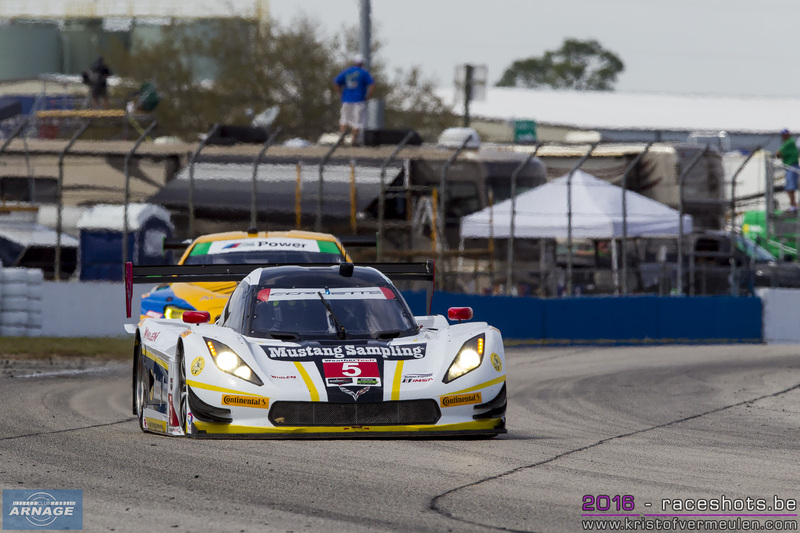 Next to the prototypes, GTLM will be the battle to watch with 10 factory backed cars. Ford, Ferrari, BMW, Corvette and Porsche each fielding 2 cars in the class. Defending Sebring champions Corvette racing has the momentum after their Daytona 1-2 finish. 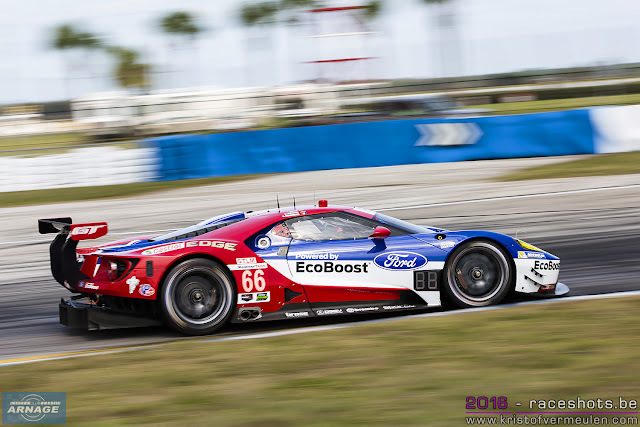 Ford returns to Sebring with the new Ford GT, will they have had enough time after Daytona to resolve the problems they've encountered after their first race ? Other new for this season cars are the Ferrari 488 and BMW M6 GTLM. 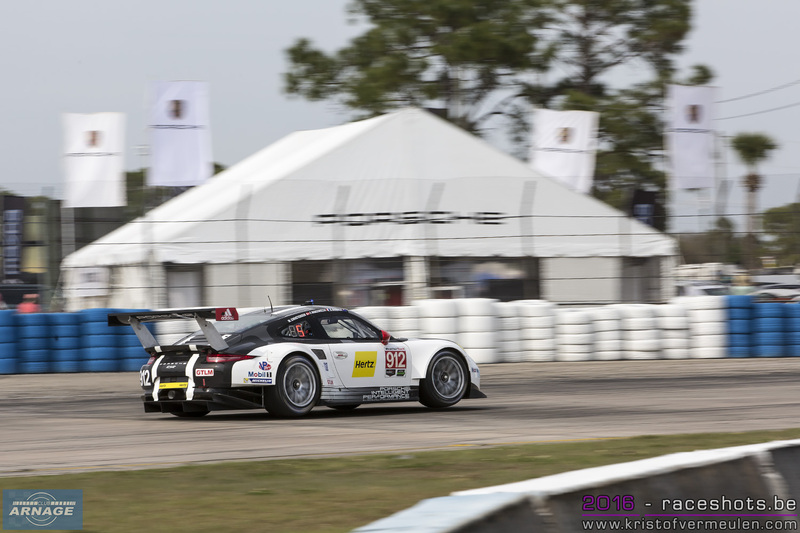 Porsche North America also fields 2 Porsches 911 RSR. 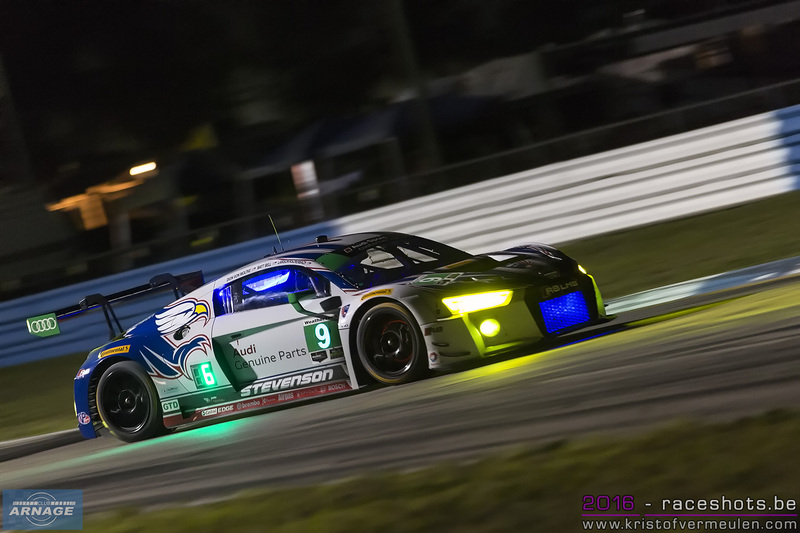 The 20-car GT Daytona field which from this season races under GT3 regulations will be a battle between Audi, Lamborghini, BMW, Porsche, Ferrari, Aston Martin and Viper. 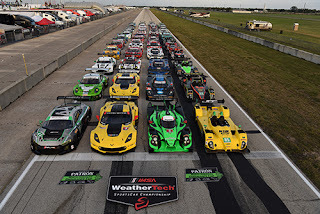 We have 6 Lamborghini Huracans, 4 Audi R8 LMS GT3, 4 Porsches 911 GT3 R, 2 BMW M6 GT3'sn 2 Ferrari 488 GT3, and a single Dodge Viper and Aston Martin Vantage GT3. The PC class features 7 prototypes, the Oreca FLM9, an upgraded version of the LMPC class cars which also raced in the ELMS a few seasons ago. From this weekend on, the PC cars will have a new upgrade package with a new electronics system and a larger engine. 3 practice sessions will be run today, including night practice. 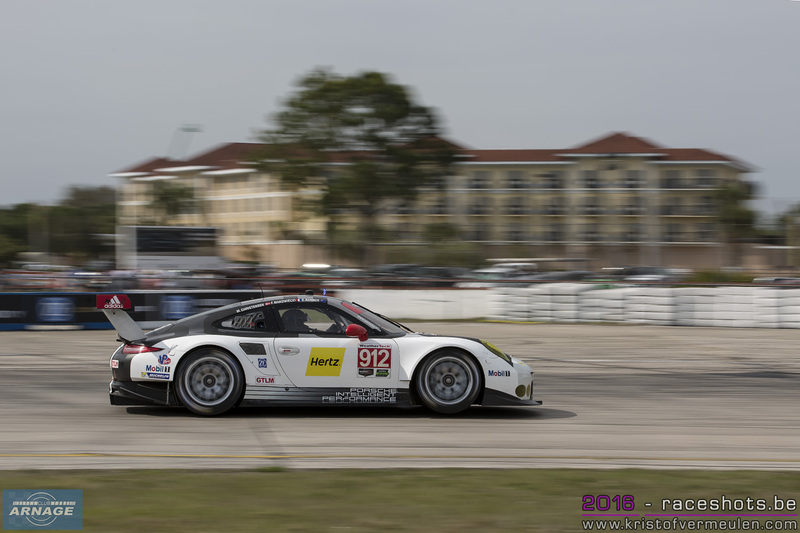 A fourth session completes practice on Friday morning, with qualifying on Friday afternoon. The green flag will be waived Saturday at 10.40 am. 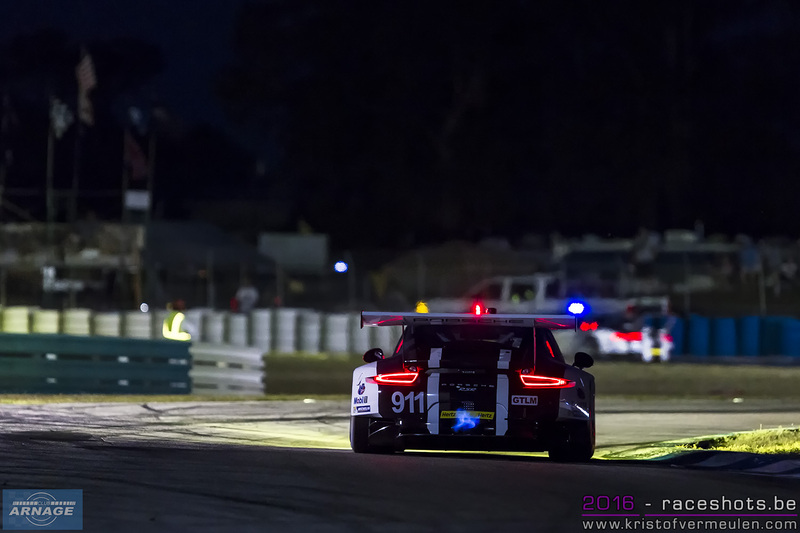 With the European Le Mans Series prologue at the end of the month at Paul Ricard coming closer, more news, driver line-ups and liveries for the 2016 season are being unfolded by the teams. Thiriet by TDS presented their new livery for the 2016 season today and announced the third driver to compete in ELMS and Le Mans. Ryo Hirakawa will join Pierre Thiriet and Mathias Beche at the wheel of the Oreca05/Nissan. Hirakawa is a young Japanese driver who won the Japanese F3 championship and the Porsche Supercup in 2012. Since then, he has raced in Super Formula Japan and Super GT. He will discover endurance racing as part of the Toyota young drivers programme. Mathias Beche has been announced earlier and will join the TDS team following a partnership between TDS and Rebellion Racing which also shows on the new livery of the car. Beche will race in LMP1 with Rebellion and compete in the full ELMS season with TDS, including the Le Mans 24 Hours. ELMS champions Greaves Motorsport announced Julien Canal as their second driver for the Ligier JSP2/Nissan which will compete in the European Le Mans Series and at Le Mans. Canal won the LMP2 title in WEC last year with Sam Bird and Roman Rusinov in the Ligier JSP2 G-Drive Racing. He will join Meme Rojas at Greaves this season. The third driver will be announced in the near future, as will be the crew for the Gibson 015S. US based Dragonspeed will debut its Oreca05/Nissan at the Sebring 12 Hours in 2 weeks, before heading over to Europe and compete in the European Le Mans Series. 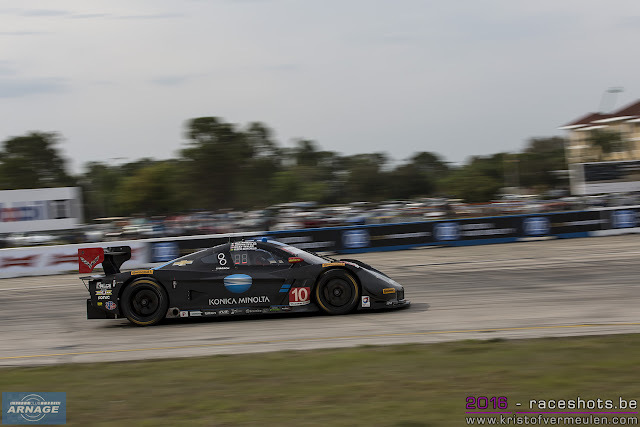 After some extensive testing over the winter, the Oreca was amongst the quickest prototypes at the IMSA organised test at Sebring last week. 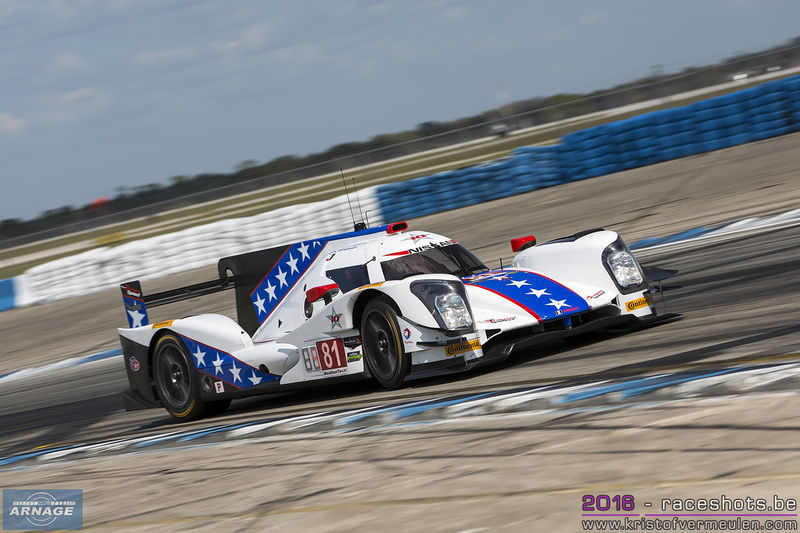 Nicolas Lapierre, LMP2 Le Mans class winner last year and former Toyota factory driver, Henrik Hedman and Ben Hanley will compete in the ELMS. At Sebring they will be joined by Nicolas Minassian, who won the 12 Hour race in 2011 with Peugeot. Swiss team Race Performance announced their first two drivers for their Ligier JSP3 this season. Giorgio Maggi will join Marcello Marateotto in the LMP3 entry. Maggi is a young Swiss driver who raced for Race Performance in the 2015 ADAC Formula 4 series. He was also active in the CN class of the Asian Le Mans Series and won the 2016 title. 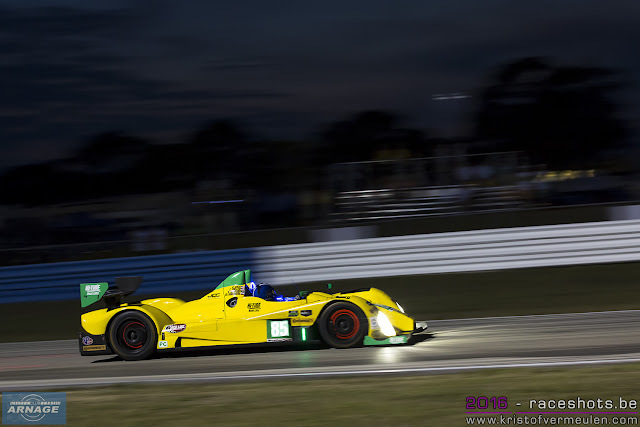 Marateotto has been racing in for several years in the Radical championship and already raced in the team's Oreca 03. 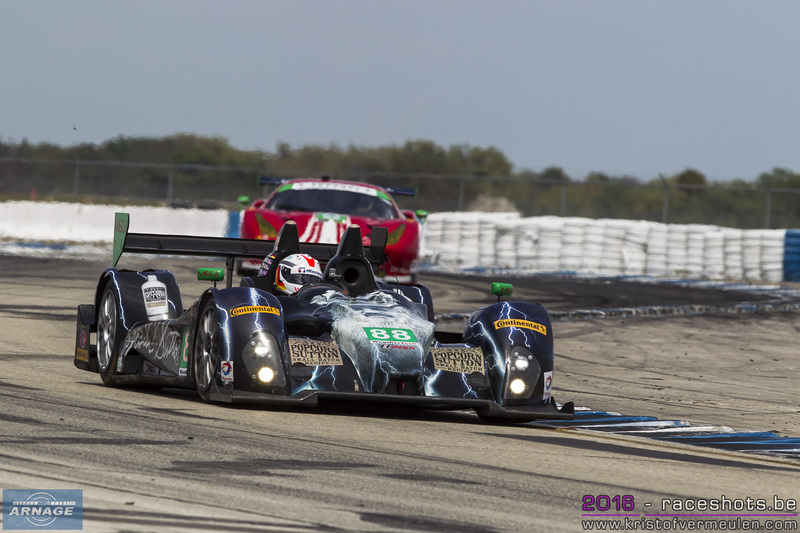 OAK Racing showed the new livery of their #4 and #24 Ligier JSP3's in the colors of the Ingenico Group. No more traditional black and pink livery this time, but mainly black and red instead. The cars will be driven by Jacques Nicolet, OAK president, and his son Pierre Nicolet in the #24, Erik Maris and Jean-Marc Merlin will team up in the #4 car. 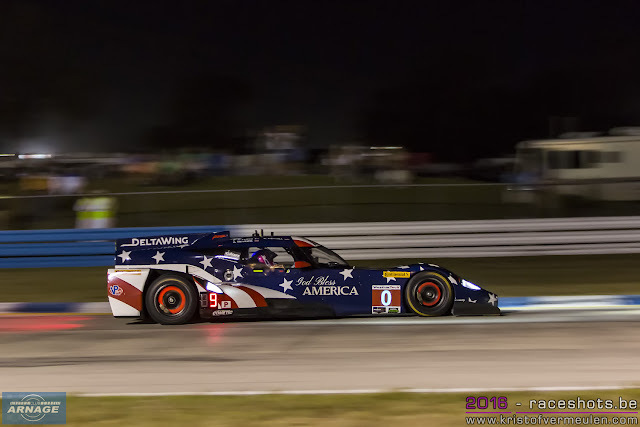 The United Autosports LMP3 also broke cover this week in its new livery. 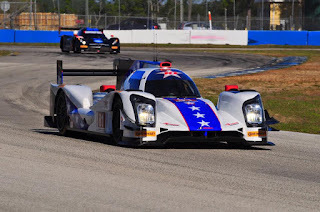 The team completed their driver line-up for their debut ELMS campaign: Wayne Boyd will join team regulars Mark Patterson and Matt Bell at the wheel of the first Ligier JSP3/Nissan. The line up of the second Ligier was earlier announced with Alex Brundle, Mike Guash and Christian England sharing driver duties. The team will continue pre-season testing at Imola, ahead of the ELMS prologue at Paul Ricard later this month. Panis-Barthez Competition announced their LMP3 line-up last week. Eric Debard will be joined by Simon Gachet and Valentin Moineault. In LMP2 Barthez is the only driver confirmed so far. Next to Christina Nielsen in the Formula Racing Ferrari, there will be a second female driver on the ELMS grid this season. Ines Taittinger will race with the Pegasus team in LMP2 with their Morgan/Nissan. She will be joined by Julien Schell & Remy Striebig. Eurasia already confirmed their line-up which retains Pu Jun Jin and Nick de Bruijn, who will be joined by Tristan Gommendy. Not much news yet in the GT class as the only confirmed driver line-up is the #60 Formula Racing Ferrari with Johnny Laursen, Mikkel Mac and Christina Nielsen. 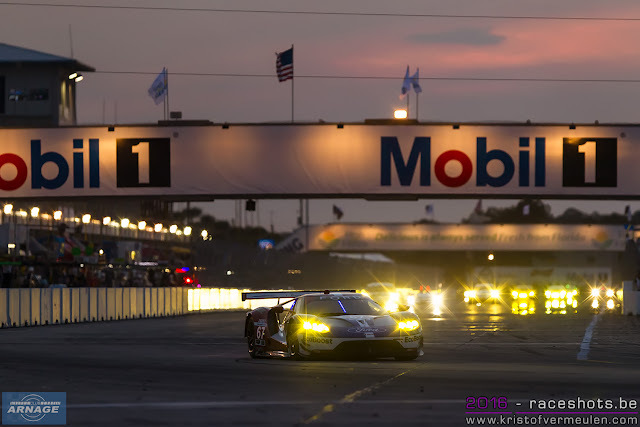 When the ACO launched the new Michelin GT3 Le Mans Cup, it was already announced that the series would run a support race ahead of the Le Mans 24 Hours. Today the ACO gave more details about this race. The first running of the race, called "Road te Le Mans", organised by the ACO and LMEM (promotor of the Michelin GT3 Le Mans Cup), will be held on Saturday June 18th at 11h10, ahead of the 24 Hours of Le Mans on the legendary 13,629 km circuit. "Road to Le Mans" will be the second round of the Michelin GT3 Le Mans Cup, which is reserved for GT3 cars, and is part of five of the six rounds of the 2016 European le Mans Series, and a curtain raiser to the Le Mans 24 Hours. It reinforces the determination of the ACO to consolidate the development of the endurance nursery and to highlight the promotional categories in this branch of the sport. All full season entrants in the Michelin GT3 Le Mans Cup will be given an automatic entry. 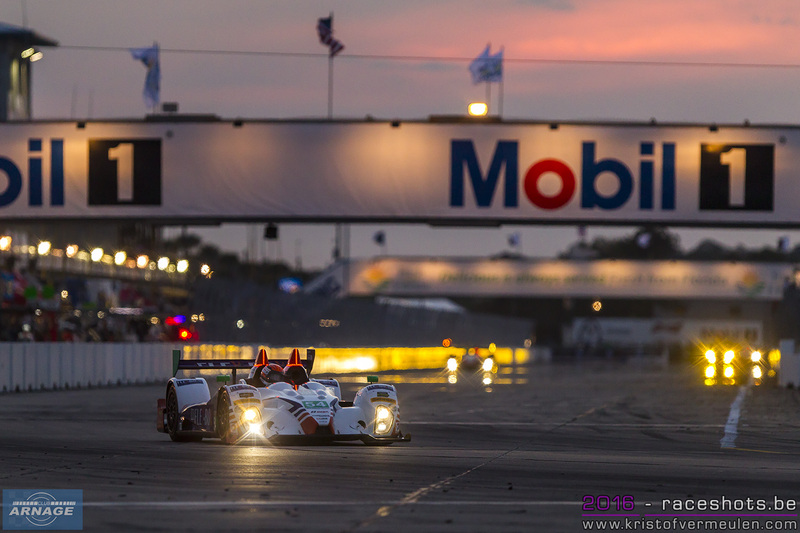 For the LMP3 cars, it will be a single event that won't count for any championship. In the LMP3 category, only the prototypes racing in the ACO series - ELMS and Asian Le Mans Series - will be allowed at the start in Le Mans. The ACO however reserves itself the right to invite other GT3 and LMP3's to compete in the race. The number of cars allowed to start will be confirmed on the 25th of March. 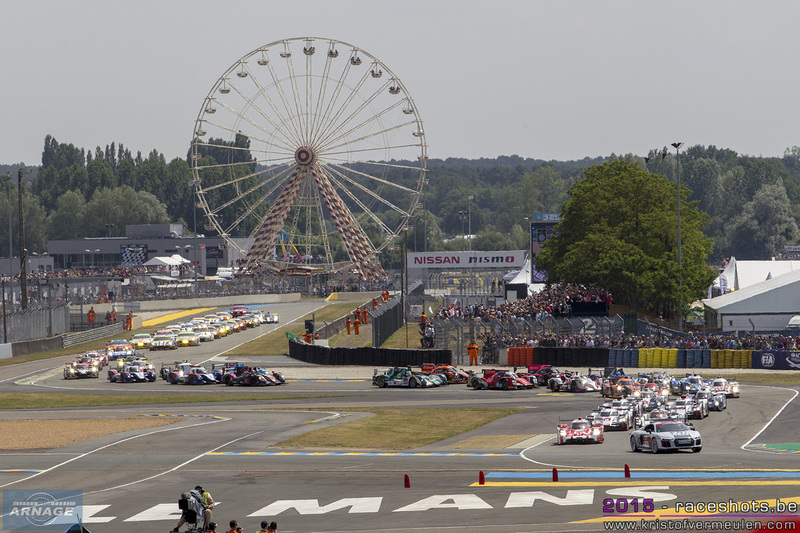 Entries for the Road to Le Mans race will open on Monday 18th March and close on Friday 15th April. A selection committee will meet after entries have closed to draw up the list of cars allowed to start Road to Le Mans. The start of this race (50 to 60 minutes maximum, confirmation on 25th March) will be given on Saturday 18th June at 11h10. Beforehand, scrutineering and administrative checks will take place on Tuesday 14th June from 4 p.m to 6 p.m and Wednesday 15th June from 9 a.m to midday. Two 1-hour free practice sessions will be held on Wednesday 15th June from 8.30 p.m to 9.30 p.m, and Thursday 16th June from 2.30 p.m to 3.30 p.m followed by a 30-minute qualifying session on Thursday from 6 p.m to 6.30 p.m. The format of the race, for one or two drivers, will impose a minimum driving time of 20 minutes per driver and an obligatory pitstop within a given time window. The driver line-up in GT3 may consist of 2 drivers of which has to be bronze, the second driver bronze, silver or gold. In case of 1 driver, it has to be a bronze qualified driver. In LMP3, 2 drivers are allowed of which one is bronze and the second silver or bronze. When 1 drives races, he has to be bronze qualified. Slow zones will be used for safety, though slightly different than the system used at the 24 Hours. There will be no limit on tyres, with Michelin supplying a single slick specification for each category. Shell will be the official fuel supplier, refuelling will be forbidden during both practice sessions and the race. The Michelin GT3 Le Mans Cup will have its own paddock on the Maison Blance circuit. In the support program for the Le Mans 24 Hours, the Ferrari Challenge will also contest a race.